A new animal disrupted the political circus in 1908 when the phonograph carried the voices of presidential candidates directly to the people. 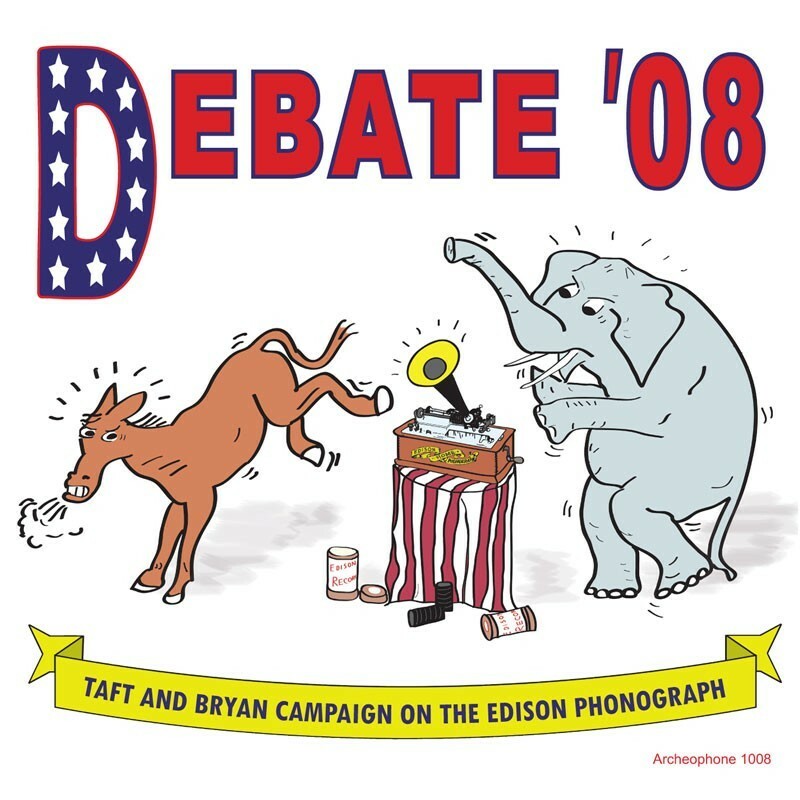 Debate '08 marks the centennial of this historic premiere with the first reissue of all 22 Edison wax cylinders recorded by the Democratic candidate, William Jennings Bryan, and the Republican candidate, William Howard Taft. The two-minute duration of these records forced an eager Bryan and a reluctant Taft to excerpt their nuanced speeches and get to the point. Thus began the 20th century's march to the sound bite . . . and the redefinition of political communications for all time. Includes full-color 80-page wide-format booklet with transcripts of the speeches and original research. 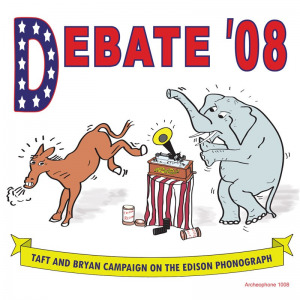 Visit Debate '08's expanded catalogue page to see the complete track listing, read an extended description, and listen to sound samples.